The Boat Buoyancy Aid, developed by SurviCap Pty Ltd, is a naval architecturally designed inflatable and buoyant sun shade for small craft to aid recovery from capsize. Many lives are lost needlessly each year due to small vessel capsize and drowning. Many lives are also lost due to sun cancer. The Boat Buoyancy Aid will assist in recovery from capsize by allowing victims to right the vessel thereby accessing life jackets, safety gear, food and water. Subsequently passengers are then able to gain protection from the elements and marine predators and attract help or effect self rescue. The placement of buoyancy high on a vessels centreline to aid recovery from capsize is not a new technique, this method of capsize recovery has been used on rescue vessels in the commercial marine industry for many years. However there are currently no other products in the recreational small vessel industry that provide capsize protection and shelter from the sun and rain in one combined product. This product will provide the customer with peace of mind due to the professional level of safety and they will therefore be highly motivated to purchase a sun shade that doubles as a life saving apparatus for just a small premium on the price of a standard bimini. In the US there are approximately 9 million vessels under six metres in length as of 2017. Once consumers are aware of the safety advantages of this product and that the commercial marine industry has enjoyed this level of safety for many years, it is entirely possible to see a Boat Buoyancy Aid on a high percentage of recreational vessels within a very short period of time. Follow the link below to view a short 3 minute demonstration video. 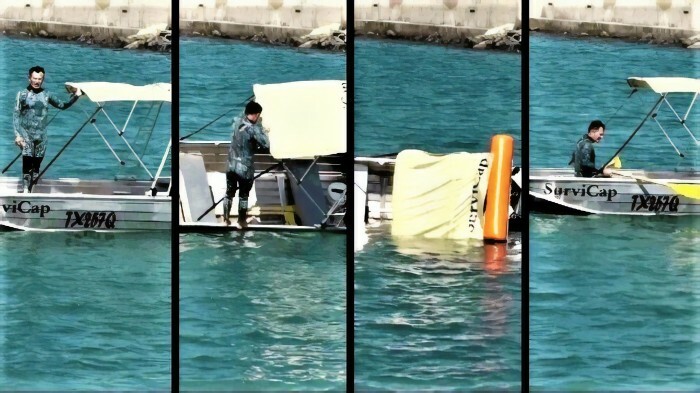 An inflatable buoyancy device incorporated into a folding sun shade and mounted on a Targa bar that will assist in returning a small vessel to the upright position in the event of a capsize. 34% of the 658 deaths were associated with a capsize event. 80% of capsize were on vessels under 26'. The Boat Buoyancy Aid helps provide a solution to both of these life threatening problems. This product has a number of potential options in both the high end and competitive/budget market. This product is new without competition. This product has never been available to the recreational market. The self-righting concept has been utilised in the commercial marine industry for many years. It is envisaged that there will be three size ranges all priced under one thousand dollars. This safety product will provide the customer with peace of mind and an increased chance of survival in the event of a capsize, along with protection from the sun. The customer will view the product as a professional level of safety and will be highly motivated to purchase. Once consumers are aware of the safety advantage of this product and they realize it is a safety feature that the commercial marine industry has enjoyed for years, it is entirely possible to see a Boat Buoyancy Aid on a high percentage of boats within a very short period of time. R & D activities will include but not be limited to refining the look and efficiency of the product and to develop further associated product lines. The product is patent protected. 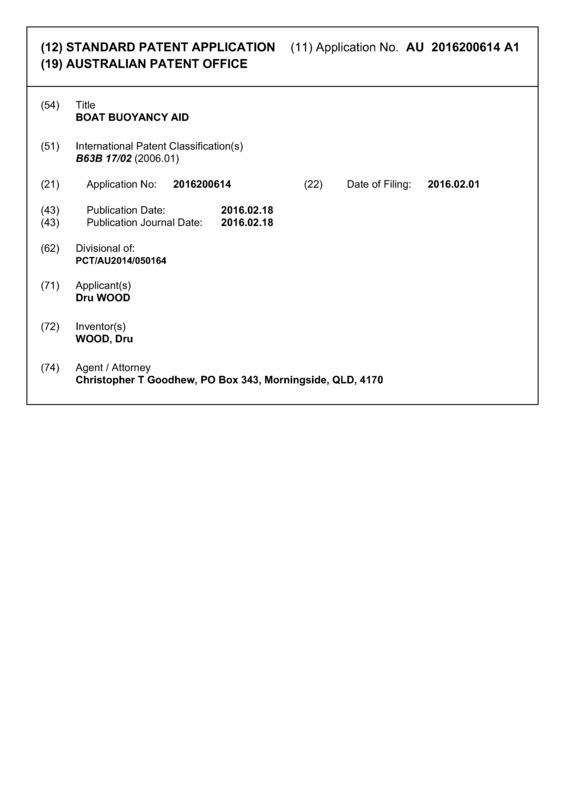 US 9815533, AUS 2016200614. Appropriate insurances will be employed in a timely manner. Ensure first to market brand recognition with associated high quality status. Owners of small recreational boats from 10 to 21 feet in length. 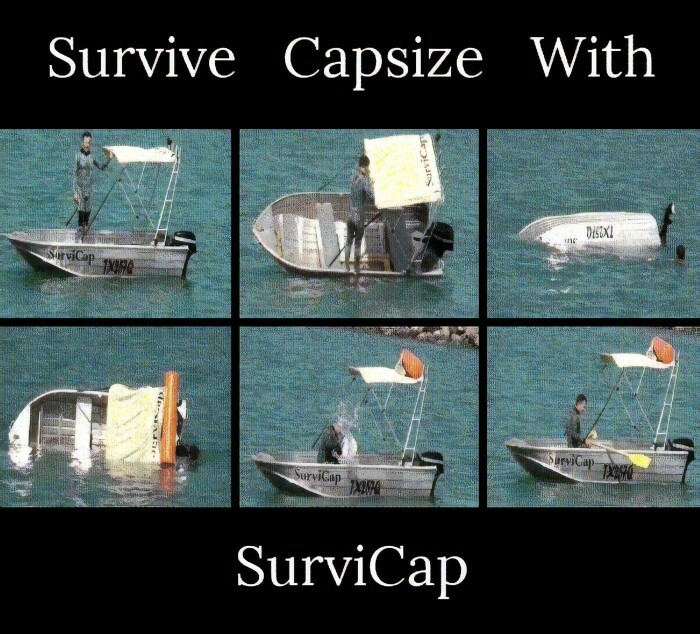 SurviCap will actively seek a partnership with a marketing professional to assist in bringing the Boat Buoyancy Aid to market. SurviCap is looking to partner with a manufacturing professional to ensure high quality and efficient production. A survey of 209 American boating enthusiasts found a 92% positive response to the product, 94% were likely to recommend to family and friends and 90% likely to purchase the product. The product price suggested for the survey was $990.00. Copies of surveys are available by request. A 1% market penetration in the first year of operation would indicate sales of 90,000 units for the United States, and 9,000 units in Australia . Please note approximately 150,000 new vessels in this target market are sold in the US alone each year. Boating enthusiasts including but not limited to; Fishermen, Divers, Skiers, and Family boaters. To introduce the Boat Buoyancy Aid into the recreational market with the aim of preserving lives and allowing amateur boaters better peace of mind when 'messing about in boats' with friends and loved ones. To provide all small vessel owners with an affordable and effective capsize recovery solution. To build a team to effectively market and manufacture the Boat Buoyancy Aid and achieve at least 1% market penetration in the first year of production. With a 1% market penetration in the first year the unit sales would be in the vicinity of 90,000. If we work with the mid range price of $850.00 the gross return would be $76,500,000 in the US alone. SurviCap Pty Ltd will be seeking partners to assist with start up capital, production materials and facilities, and sales and marketing expertise. 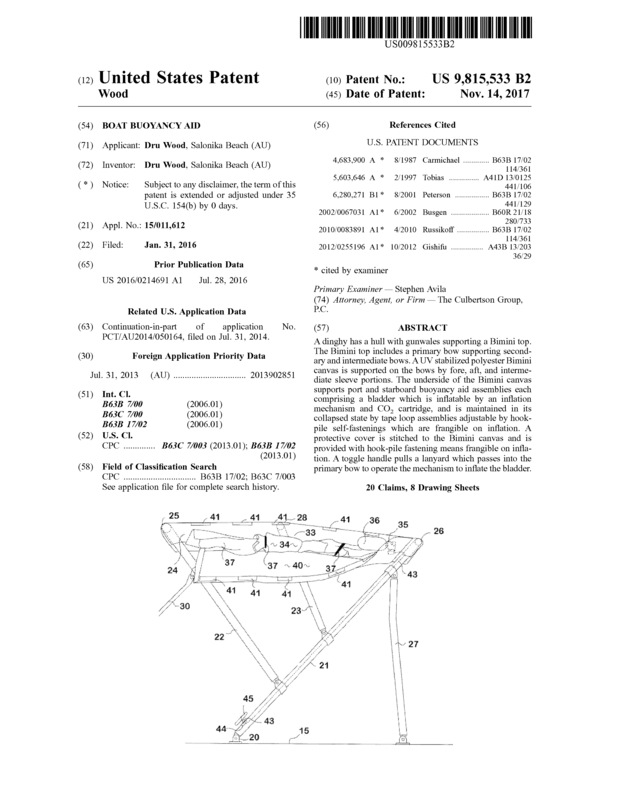 Page created at 2019-04-23 6:31:37, Patent Auction Time.